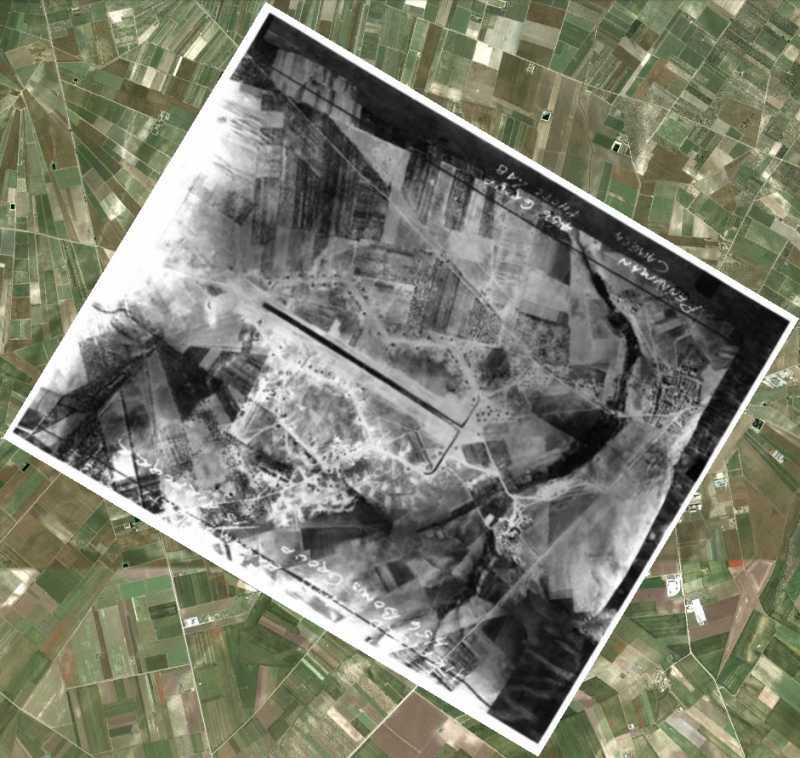 Stornara Airfield was a semi-permanent heavy bomber airfield located approximately 14km (10mi) west of Cerignola in Apulia, Italy. Its single PSP runway with extensive taxiway and hardstand parking areas and steel control tower were built by the US Army Corps Of Enigineers in September 1943. The air field opened in January 1944. 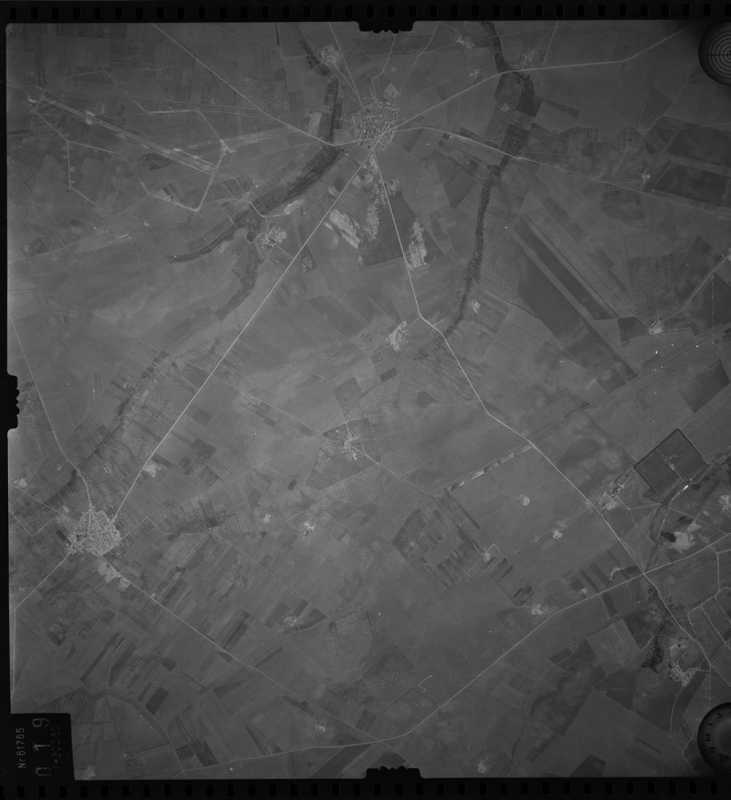 The only known unit to operate from the field was the 456th Bombardment Group, from January 1944 until July 1945. 456BG consisted of 744, 745, 746 and 747 Bomb Squadrons, flying B-24 Liberators. 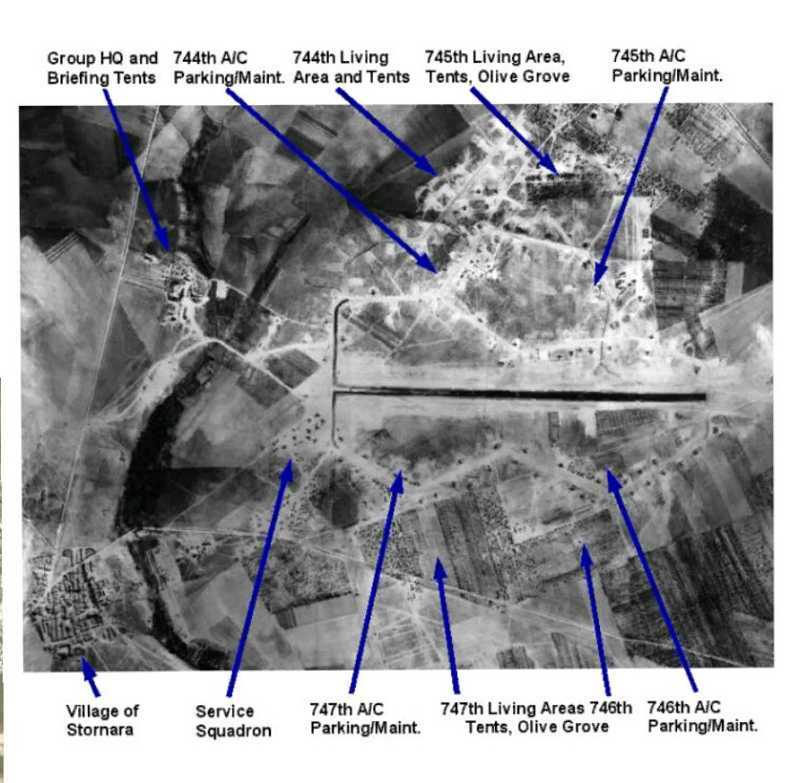 The airfield remained operational until the end of the war and the airfield closed in August 1945. 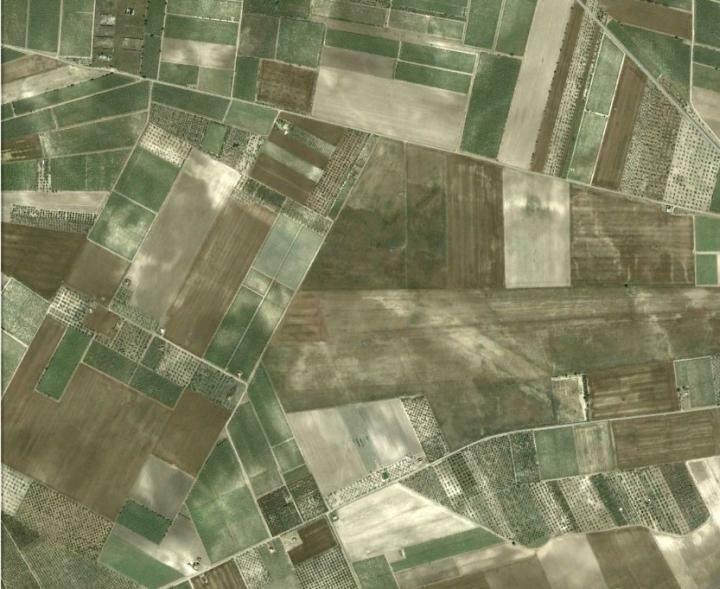 The airfield was dismantled after the war and today it is an agricultural area. Faint scarring of the land in aerial photography like Google Earth is the only evidence left.